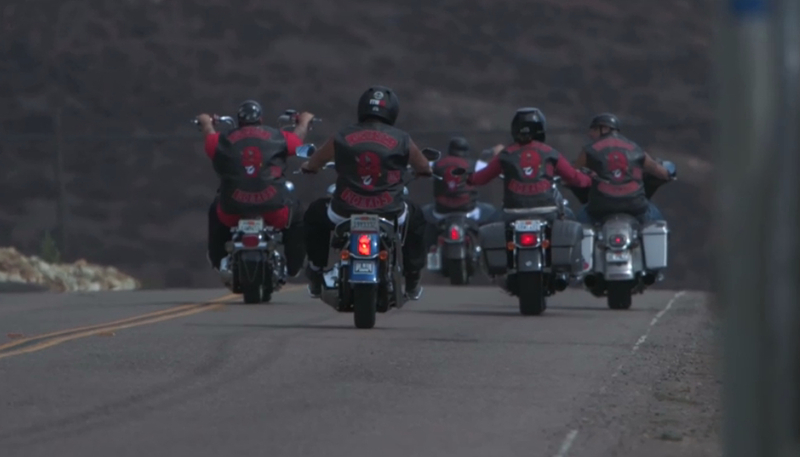 You might be interested to know that if it wasn’t for Hulk Hogan, we wouldn’t have The Devils Ride, a parody TV show about an outlaw motorcycle club that is produced for the Discovery Channel by Bischoff Hervey Entertainment. Yeah, I did it. I just connected the dots of Lex Luger, Ric Flair, “Hollywood Huckster” and the Giant… to a semi-glorified American motorcycle TV show. It’s a long read, but click HERE for the details. I’ve previously laughed at the Devils HERE. 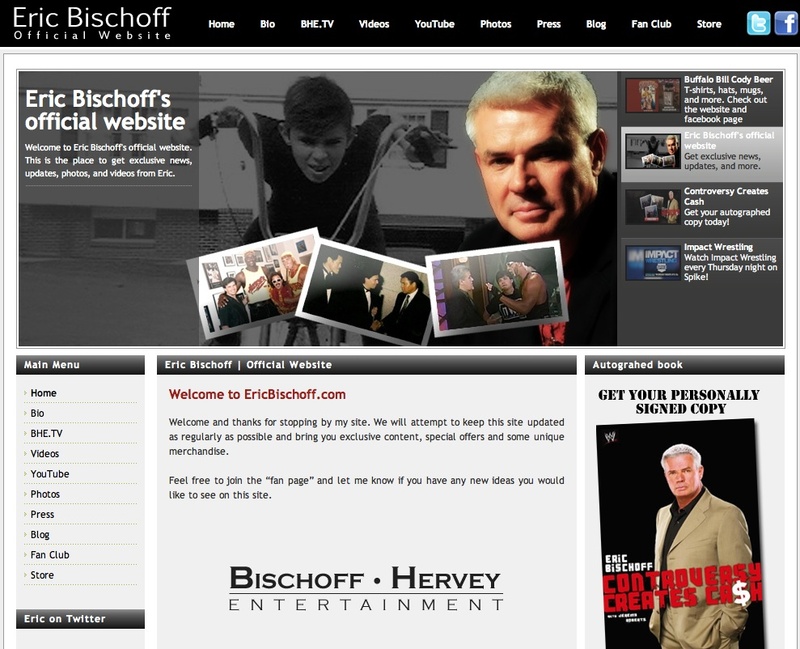 It turns out that Eric Bischoff, one of the Executive Producers of The Devils Ride along with Jason Hervey, was instrumental in redefining the WCW wrestling landscape with clowns, midgets and other outlandish characters and has now applied his wrestlemania ‘magic’ to a TV show about the world of motorcycle clubs and the sometimes simple-minded members of San Diego’s — The Laffing Devils (LDMC). Clearly with today’s lowest common denominator of TV viewers we face a real crisis in mainstream society’s media preferences. The measurement bar was on the floor, but everyone wants it lowered! Just when you think it’s become increasingly difficult for producers to insult the intelligence of the American public the Discovery Channel announced this week that the Laffing Devils is officially a hit after only six episodes and it has been renewed for a second “season.” Is it futile to hope that none of the original cast members return?! 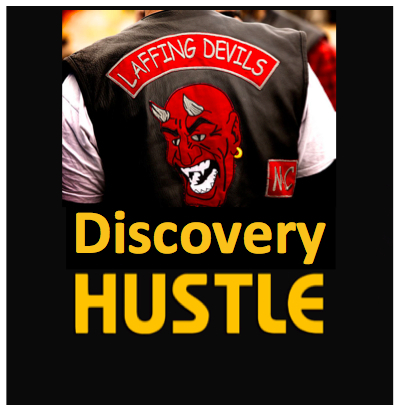 For Discovery Channel, David Pritikin is Executive Producer of The Devils Ride. 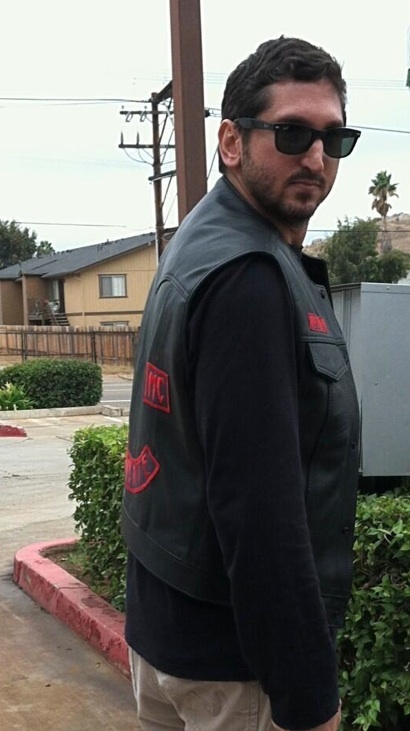 David Pritikin – Discovery Channel Executive Producer of The Devils Ride. As the competition for the stupidity dollar grows ever more fierce The Discovery Channel has repeatedly stated that the television show is about a “real” club. They even brought in the real and apparently retired Hells Angel Rusty Coones. 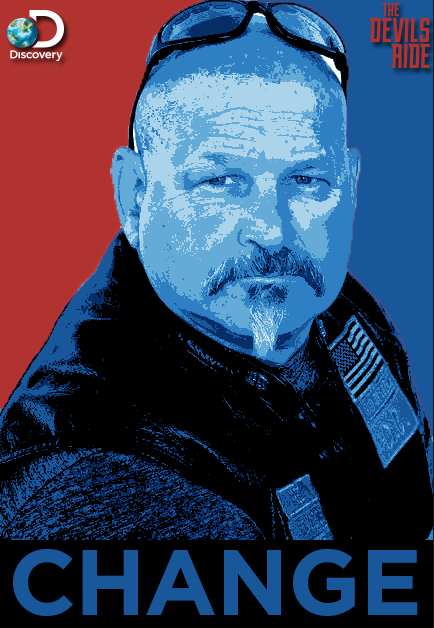 Coones is the former President of the Orange County (California) charter of the Hells Angels. Back in June 1999 he was arrested on federal drug charges and sentenced to eight years in prison. One of his defenders with an 8-minute attention span limit was celebrity bike builder Jesse James who married Sandra Bullock, then divorced, but in his spare time somehow made some Hollywood business connections. After he got out of prison Coones with the help of James connections made some show business connections, too. 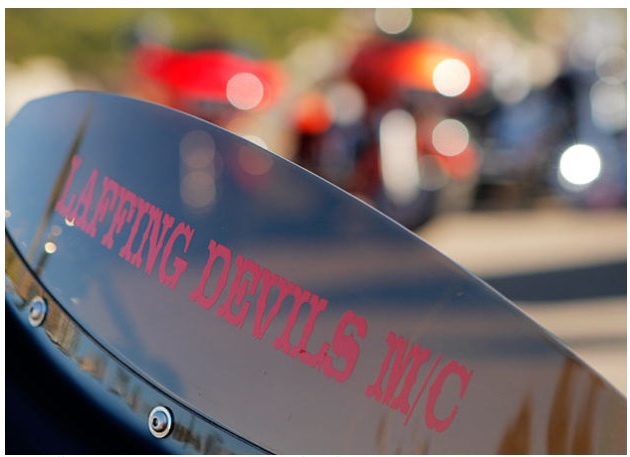 So for viewers who need to be spoon-fed credibility, one episode of The Devils Ride featured Coones sending a group of Laffing Devils to repossess a bike for him in Las Vegas. It’s unconfirmed, but one could speculate that Coones was compensated for his appearance. With a lot of free time in prison Coones continued to play the guitar and also began writing songs. He now plays lead guitar for a heavy metal group named Attika7 and is an owner at Illusion Motorsports. 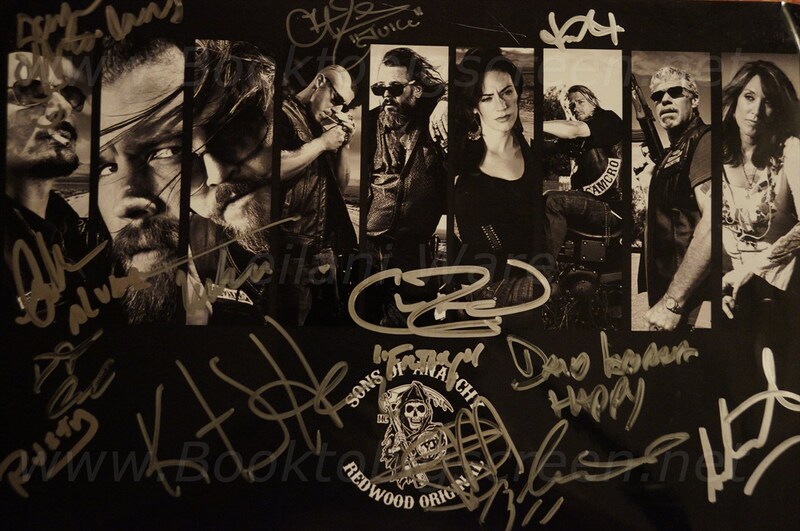 No-one is better at pandering to an outlaw image or their bad tendencies than Kurt Sutter, so the Attika7 songs have been placed in episodes of the Sons of Anarchy (SOA) TV show. Meanwhile Coones appeared in a second episode to play with his band in the Laffing Devils’ new club house where they all seem to smoke expensive cigars while sipping expensive glasses of wine. Thank you Discovery Channel you complete me! 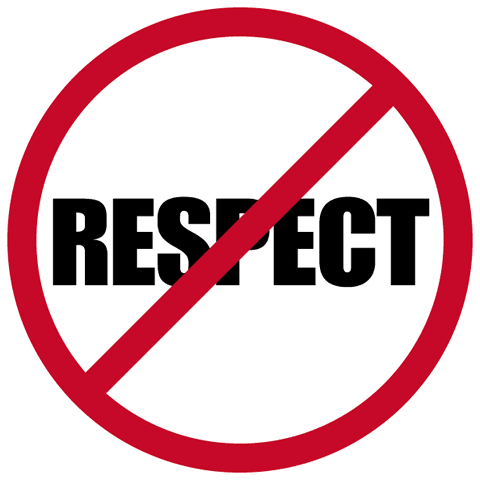 Clearly it’s all about this symbol — $$$ — because the old fashion stuff like ethics, morals and honor are way down on the list for a TV producer. It’s interesting to note that the trademark registration for “Sinister Mob Syndicate MC” was filed by Bischoff Hervey Entertainment Television, LLC of 1754 14th Street in Santa Monica on May 18, 2012. That application listed Tommy “Gipsy” Quinn, the founder of the Laffing Devils as the last listed owner of the mark. 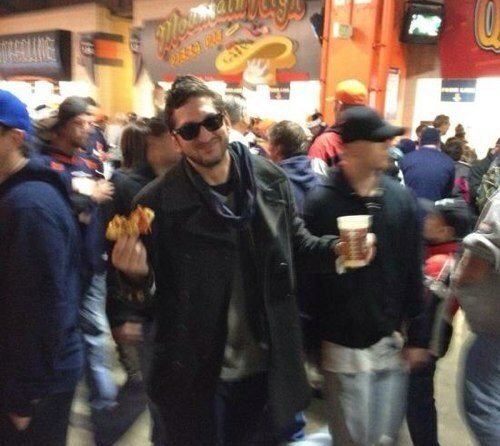 However, that application was withdrawn and re-filed on May 24, 2012 without Mr. Quinn’s name. I smell a new round of t-shirts and hoodies for the very lucrative stupid-person market.